Does anyone else get the same feeling as I do. 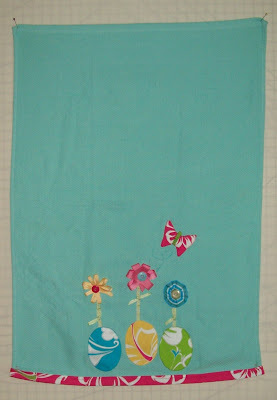 When I finish a quilt or a project for about 3 or 4 days after, I just can't seem to settle to anything. Its not that I don't have things to work on, we won't go into how many. Its just a feeling of loss and not wanting to settle to do anything. Well thats been this week, apart from the fact that The Scot and I seemed to pick up a 24hour bug, although we are better now. As mentioned we went to The Races on Sunday to celebrate The Scot's birthday. It was just a small country gathering, and they had the horse racing, harness racing and the greyhounds. Not all racing at the same time lol. Well I must tell you this. It was about the 2nd Greyhound Race and the Scot and I each chose a dog who we thought would win (no bets were places). All started well and my dog was running last trying to catch the others. When suddenly in the home straight, he just stopped. Turned around and starting running back to the Start Post. His trainer was shouting at him, probably something like ....wrong way turn round you mutt.... when the dog stopped again then turned and ran off the track over the grass and into the carpark with about a dozen people after him. It was so funny it was like he suddenly thought... well I'm not going to win this so lets save face and go back to the start. Glad I hadn't put all my savings on him. Made me think of my daughter, she hopes to have a winning horse, but the last one had sore feet, and the last I heard she was bathing them each night for him. ummmm I don't think I am going to be a Rich Daughter's Mum. 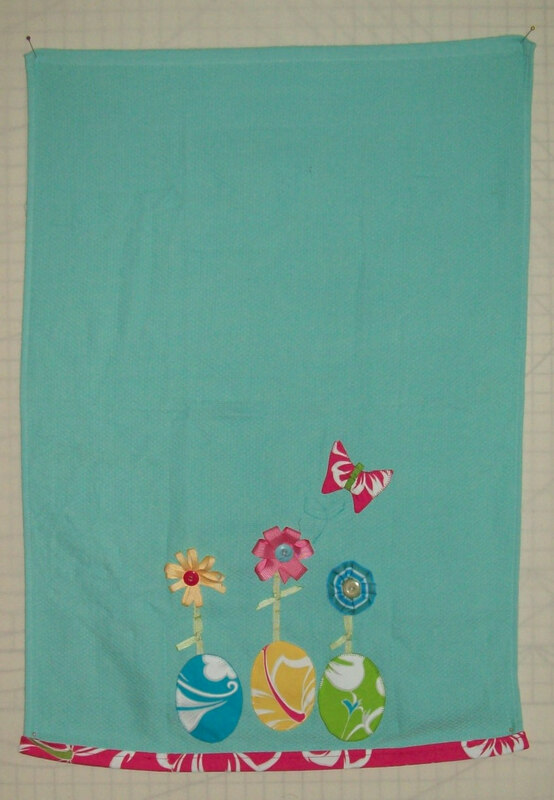 Thanks Krista this is a really happy Easter Towel to display. My month is January 2011 it seems a long time away but I must start planning what to do as I know the time is going to fly. i there "SIS" read with much glee your experience at the races sounds good fun, seems you are better at picking the winna's than "The Scot" but there you go, yes I can share your feelings when a particular job as ended, you do seem to lose an old friend as it were, when completing a project, as it is the doing rather than the achieving I believe that we get our greatest satisfaction,from most of lifes works. What a picture that conjured up! So funny, - a strong minded animal that! "let's get in the car and back home - tomorrows another day! huh!" Bless. As for horses with sore feet..... Hot towel round the neck as it sits on a stool with feet in a nice warm bowl of water - they are not stupid are they?! Sheila I feel the same way after I have read a good book. It stays with me for so long and I become so connected that I do not want to start another book right away. I guess we get the same feelings with our projects. That dog story is too funny. Thank you for posting Kristas towel. She did such a beautiful job for her 1st swap.